When the third annual Art of Photography show began on April 14, 2007 in San Diego's trendy Gaslamp Quarter, it was the culmination of a selection process that began with 9,867 entries (submitted digitally) from 37 countries. In order for contest curator/producer Steven Churchill to accurately determine which photos should be shown, a high-resolution display technology was needed that was capable of revealing all the subtle details, color gradations, and shading of the original images on a larger scale. The REALiS SX6 Multimedia Projector from Canon U.S.A., Inc. was the obvious choice, as it displayed crisp SXGA+ (1400 X 1050) resolution images with exceptional color, intricate detail, a 1000:1 contrast ratio, and 3500 ANSI lumens of brightness. "The first time I saw a Canon REALiS projector, it just blew me away," said Steven Churchill, contest curator and producer, Art of Photography Show. "I thought that it was just an incredibly good-looking picture, the best I have seen, and I decided that it was what I wanted. This is the third show where we have used a Canon REALiS projector to showcase imagery to the judges. The REALiS has been the ideal tool to present the artwork at the highest quality possible, based on the thousands of entries we received. There is no way we could actually look at every entry if prints, slides, or other photographic formats were submitted. However, with digital images, the Canon REALiS SX6 Multimedia Projector provided an efficient and fair way to look at all the pictures from all the photographers who entered their work." Canon Optical Excellence in the REALiS SX6 Multimedia Projector Canon's design of the REALiS Multimedia Projector line leverages the Company's decades of expertise as a world leader in optics. Central to the REALiS SX6 Multimedia Projector's remarkable display capabilities is Canon's proprietary Aspectual Illumination System (AISYS ) -enhanced Liquid Crystal on Silicon (LCOS )technology. LCOS is the next-generation display device that provides seamless images with no flickering or "screen-door" effects, and is an optimal solution for projection of moving or still images, fine lines, and small text. Canon's AISYS optical engine, which includes special filter elements and polarizing beam splitters, maximizes the power of LCOS by efficiently utilizing and equalizing light from the projection lamp. 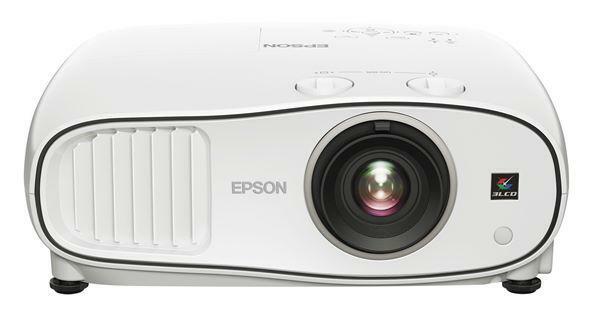 The result is the Canon REALiS SX6 Multimedia Projector's color-rich, intricately detailed, lattice-free SXGA+ resolution motion and still images. "It was definitely a major issue for us to be able to get as much resolution as we could in the projected image, in order to retain as much of the quality and detail of the original files we received," Churchill said. "It definitely made a difference to be able to truly see what the actual picture is that we were given, and to give each picture a fair presentation before the judge." Accurate color reproduction is extremely important in the photographic world, which is why the REALiS SX6 Multimedia Projector also provides sophisticated color-management features. Drawing from technology originally developed for Canon's acclaimed line of digital cameras and printers, the REALiS SX6 Multimedia Projector features proprietary color filters that alter the projector's color space, which is the range of colors that it can display. •	Presentation Mode maximizes brightness and makes it easier for audiences to see presentations even on bright-lit rooms. An additional REALiS SX6 Multimedia Projector Image Mode, known as Movie & Photo, is designed for the display of video and digital camera images, clearly defining gradations and improving color reproduction. Users can customize these settings by adjusting seven different picture aspects, including brightness, contrast, sharpness, and gamma, further expanding the projector's wide array of color-display options. The REALiS SX6 Multimedia Projector includes a wide variety of digital and analog video and computer-display input interfaces, including an HDCP-compliant DVI-I terminal. It can also display HDTV video signals as large as 1080i. Using a single, optimum setting for display of all the contest's images, the REALiS SX6 Multimedia Projector provided Churchill with convenience and uniformity. "We look at these images in a nice, uniform manner, in the same exact resolution," Churchill said, "It's a really non-discriminatory way to look at all these pictures." Other REALiS SX6 Multimedia Projector features that Churchill noted include Auto Set-Up, which instantly identifies and selects the input source, corrects keystone distortion, sharpens focus, and adjusts for the color of the projection surface. "It really is kind of amazing, you literally just push a button, and everything is done," he remarked. "In terms of ease of operation, it's perfect, I couldn't ask for anything more. It was just a dream for us." This year, 103 images were selected for inclusion in the six-week Art of Photography exhibition. Churchill was so pleased with the display of the REALiS SX6 Multimedia Projector that he will also be providing it later this year to the judge of his second annual Art of Digital show, which highlights the best of computer-generated art and digitally manipulated photography. As a photographer himself with over 30 years of experience, Churchill knows the importance of conveying fine details when displaying photography. "The REALiS SX6 Multimedia Projector is the projector to own," he concluded. "With the image quality, the resolution, ease-of-use, easy set-up, and having great people to help you with whatever you may need, Canon was - and is - the right choice. The REALiS SX6 Multimedia Projector was flawless, completely ideal for our needs, and working with Canon people is just a wonderful experience. There is nothing else I could ask for."